The superscription to Ps. xxix., chanted on Sabbaths before the evening service, and at morning service while the scroll of the Law is being returned to the Ark. 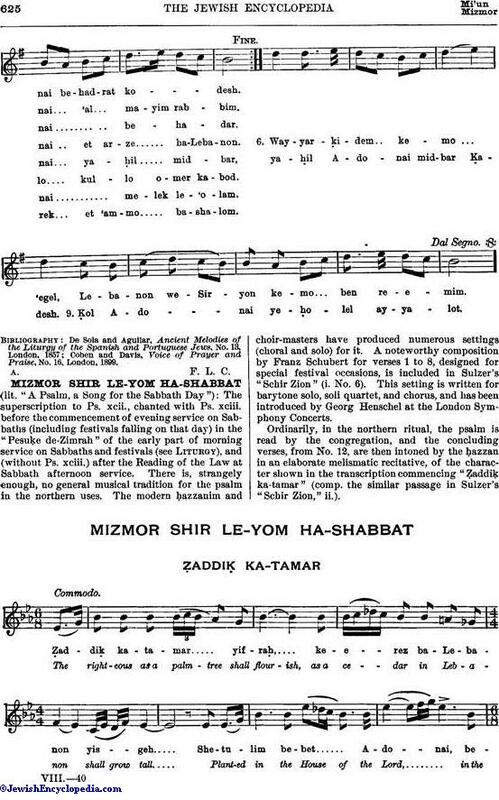 Settings by modern composers are in most cases utilized in the morning service by the Ashkenazim, there being among them no recognized traditional melody. 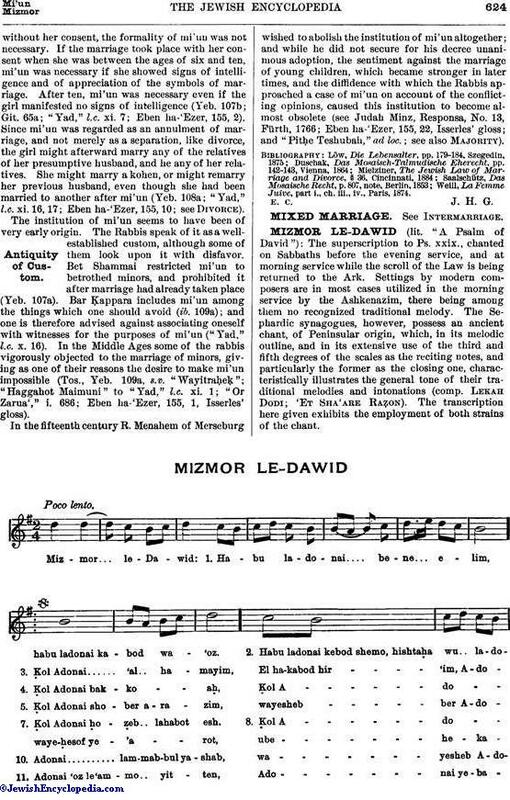 The Sephardic synagogues, however, possess an ancient chant, of Peninsular origin, which, in its melodic outline, and in its extensive use of the third and fifth degrees of the scales as the reciting notes, and particularly the former as the closing one, characteristically illustrates the general tone of their traditional melodies and intonations (comp. 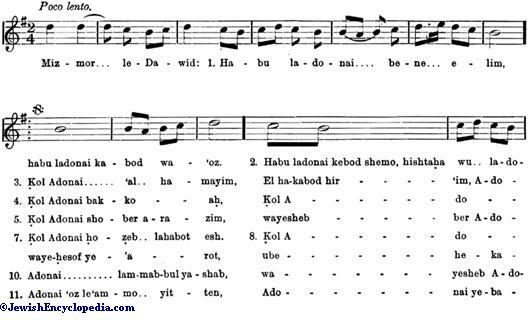 Lekah Dodi; 'Et Sha'are Raẓon). 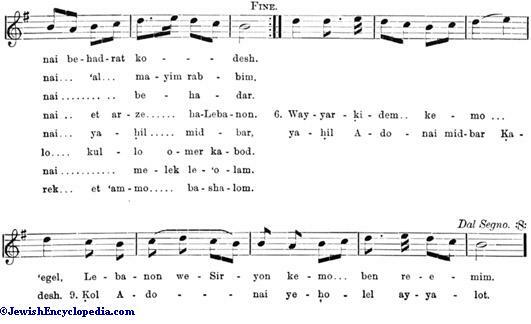 The transcription here given exhibits the employment of both strains of the chant. Cohen and Davis, Voice of Prayer and Praise, No. 16, London, 1899.